London, Dublin, Malaysia, Russia, Costa Rica. In the early years of its existence the Greater Twin Cities Youth Symphonies (GTCYS, pronounced "GIT-seas") was a traveling band, racking up a grand total of 11 international concert tours in the 23 years from 1978 to 2001. Then came 9/11, and the veil of fear and trepidation it cast over the international travel industry, freezing curiosity and ambition in the hearts of enterprising vacationers. For the 13 years that followed, GTCYS stopped touring internationally. In the traumatic post-9/11 era, it was simply too costly and too risky a proposition. In 2012, however, the appointment of a new artistic director to head the organization changed the whole GTCYS dynamic. "Mark Russell Smith's arrival brought renewed energy to the entire organization, in terms of enrollment, the quality of the program, and support from the community," says Megen Balda, GTCYS' executive director. Suddenly, touring again became an option that seemed not only possible, but strongly desirable. "It was the perfect time to reinstate the touring tradition," Balda says. "Over the years we'd heard from GTCYS alumni how much of an impact those previous tours had on their lives. We knew that this was going to be an exciting thing to resurrect." Concert tours to Spain (2014) and Argentina (2016) followed. In a few days' time, GTCYS musicians will pack their bags for this summer's 11-day trip to Poland, Hungary and Germany. 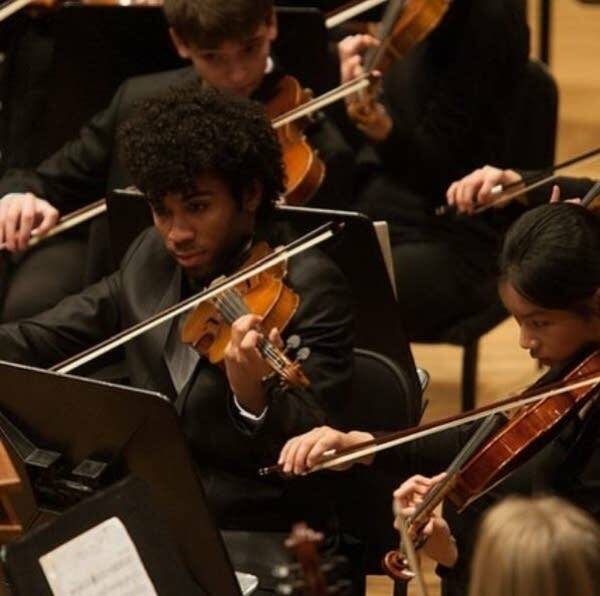 There are no fewer than eight orchestras in the GTCYS family, serving the various age grades from 8 to 18 in the greater Twin Cities community. The organization's elite orchestra of 91 musicians  known as Symphony  is the one that will be carrying the GTCYS flag to Europe, playing concerts in Wroclaw, Krakow, Luslawice and Budapest. And while the concerts are the musical high point of the tour, they are far from being the only important activity on the agenda. A visit to the Berlin Philharmonie concert hall is planned, where GTCYS musicians will attend a concert by the world-famous Berlin Philharmonic  one of the last to be led by its departing chief conductor, Simon Rattle. Another highlight is a residency at the Krzysztof Penderecki European Centre for Music in Luslawice, named for the great Polish classical composer. "One of our concerts there will be an education concert for local students and the community," Balda explains. The group will also tour the concentration camp at Auschwitz-Birkenau, a visit that Balda describes as "critical for our students' experience and for their understanding of the world, and of a really sobering time in history." For Balda, these extra activities add crucial educational value to touring and are central to the GTCYS mission. "GTCYS focuses on a holistic approach to music-making, using music to create better learners, strong leaders and well-rounded citizens," she says. "Many of our students haven't traveled abroad before, and touring expands their horizons. It's a great way to increase cultural awareness, broaden their global perspective, and understand what music means historically in different parts of our world." One new element in GTCYS' 2018 tour will be social media, which the organization will be using to post details of its daily activities, and the impressions garnered by the musicians. A number of official "student bloggers" have been nominated, among them Beth Fryxell, a violinist from St. Paul, and Christopher Kwon, a cellist from Maple Grove. Fryxell intends to post about everything from Eastern European culture to street musicians, and "things not as commonly covered by media," as she puts it. For Kwon, the aim is "to capture and convey the 'Wow!' and 'Really?' moments from our group, to share shifts in our view of the world, and how we've changed from the trip." Fryxell and Kwon take their blogging duties seriously, especially as a way of maintaining connection with the folks back home in Minnesota. "Moms, dads, siblings, and especially loved ones who cannot travel beyond their locality can experience our take on what the trip meant to us," Kwon says. "The vitality and vividness of the experience depends on the diligence, analysis and creativity of the social media team." Although the social media postings on Facebook, Instagram and Twitter will keep a vital umbilical line open to friends and family back home, pretour jitters are inevitably a factor as the hour of departure beckons. "I think our students are most nervous right now about some of the travel details," Balda says. "Being jet-lagged, keeping track of their belongings, some of the more mundane things adult musicians might not be thinking about because they have more experience." One thing the GTCYS musicians do not appear to worry about at all is the actual business of getting up on stage and making music. "Concert anxiety is something I don't see in our students," Balda says. "We have a culture of being very supportive of each other, and I think that makes a big difference for the comfort level of our students when they play." While some GTCYS alumni go on to professional careers in music, many do not. This puts a special significance on the experience the Class of 2018 is about to embark on when their flight lifts off from Minneapolis-St. Paul International Airport on Thursday. "For most of our students, this is probably the pinnacle of their musical lives," Balda says. "That is yet another reason why the concept of touring is so important for us." 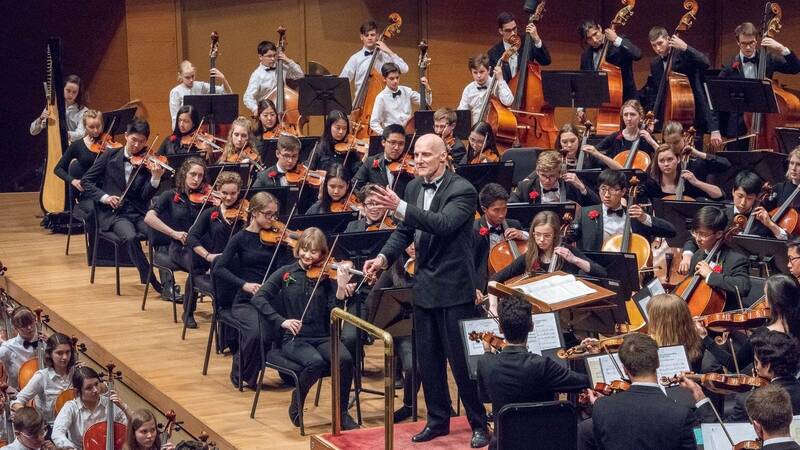 The GTCYS Symphony performs a Send-Off Concert on Tuesday, June 12, with tour repertoire including Liquify, by Michael Abels; Bernstein's On the Town and Candide Overture, Barber's Adagio, and Dvorak's Symphony No. 8. The concert, at 7:30 p.m. at Roseville Lutheran Church, is free. Stories From the Road, Day 4: Arrival in Poland!